Featuring removable side shields to combat glare, and high-wrap lens geometry for an extra-wide field of vision. 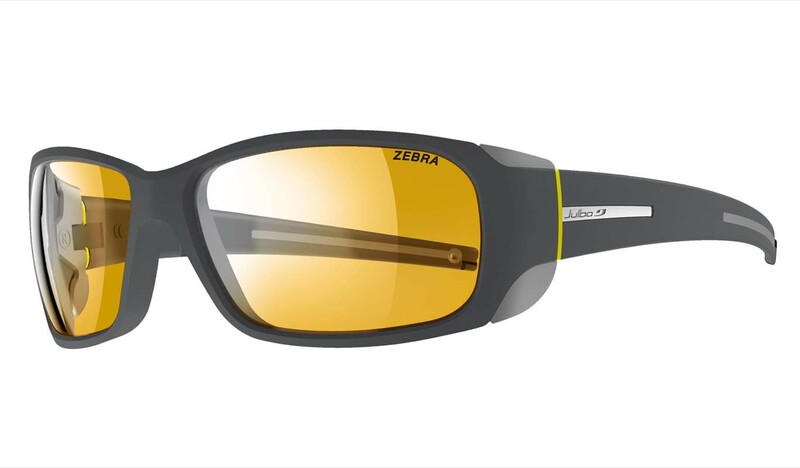 The Zebra lenses were developed for the US military: they are light and virtually unbreakable. Also available with the higher-quality Cameleon lenses for ﾣ140.